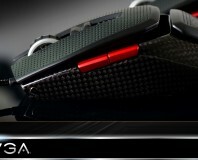 EVGA enters another new market with its Torq X10 gaming mouse. Thermaltake's new gaming mouse can be heavily customised, but does this justify its £90 price tag? 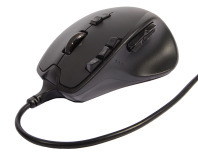 This wireless mouse has more buttons than we could possibly need, but read this before buying. 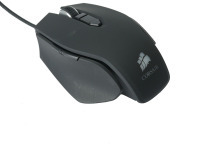 If you're using your PC, you're almost always using your mouse, which means it's essential to have the right one. 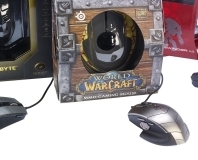 We take a look at three new gaming mice vying for your attention; one sporting Microsoft's ludicrously over-specced BlueTrack engine and another made specifically for World of Warcraft. 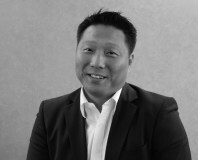 Gigabyte to take on Razer? Gigabyte is set to launch its own "gaming" keyboards and mice to take on the likes of Razer. 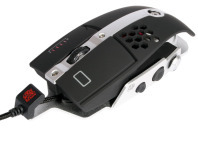 It's a mouse designed to emulate the feel of a gun in FPS games and it isn't going to go down well with Jack Thompson. That aside, has Zalman created a decent peripheral that increases immersion, or just a shoddy piece of half-assed tech? Find out within! We were quite pleased with the Revoltec Fightboard we got our hands on recently, so we decided to take the Fightmouse out for a spin too. Read on to find out if it held up as well as the keyboard did.